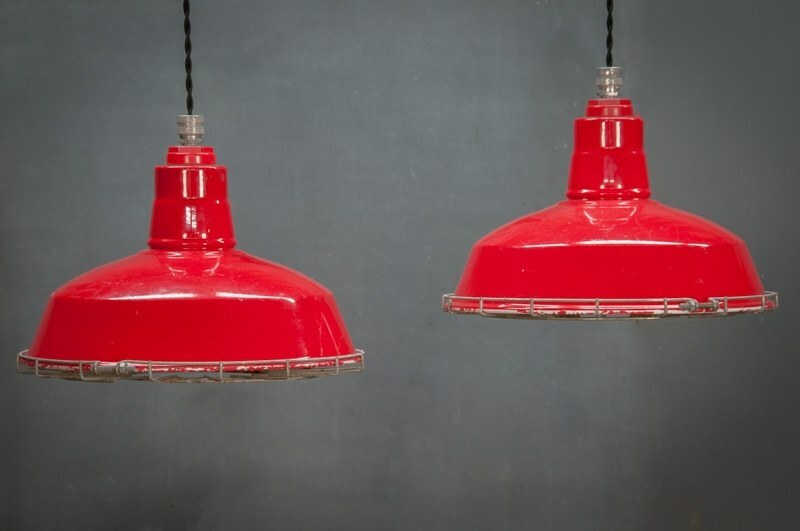 USA, 1950s, Vintage Red Firehouse Industrial Pendant Lights. 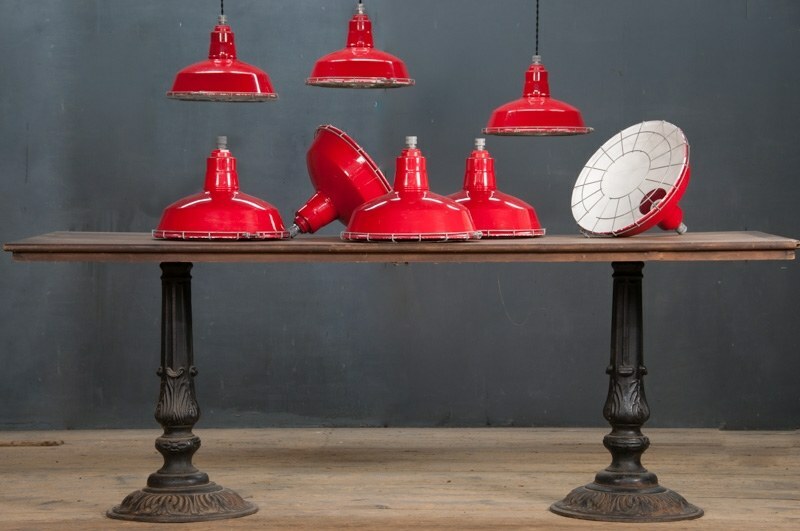 Red Enameled Steels Shades. 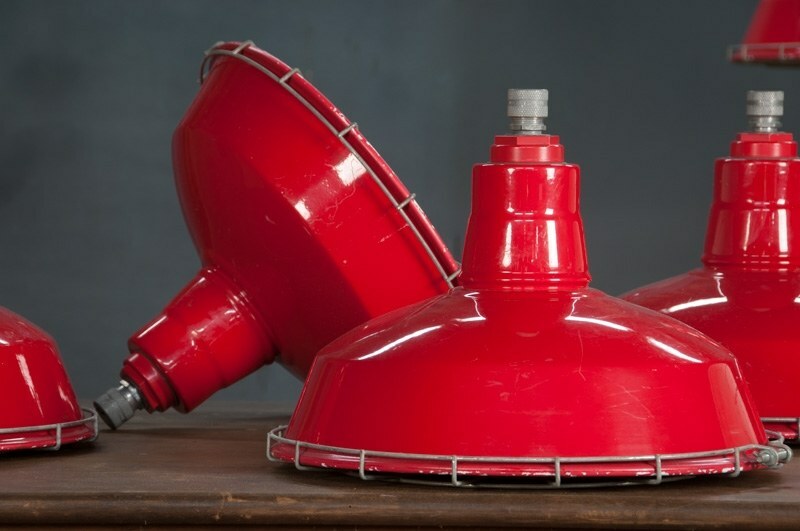 Wire Shade Guards. Fully Rewired with 3' of Braided Cloth Cord. 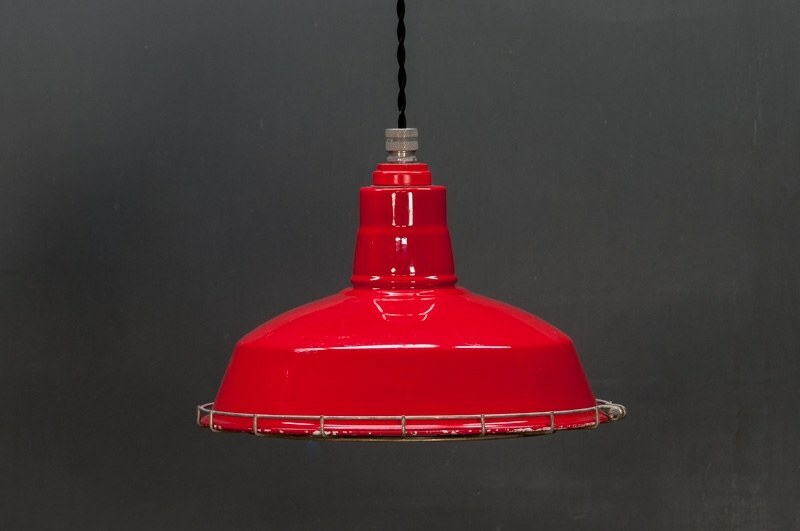 8 Available.